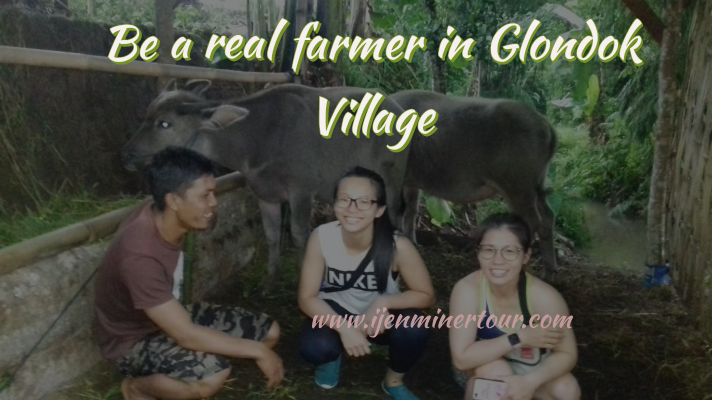 Glondok - A Village right at the foot of Kawah Ijen, a place where Mr. Sam and his family live. He used to be a sulfur carrier for almost 10 years long. Getting older and older he finally decided to retire from this scary jobs and live happily in the village as a local farmer. Choose to stay with him, guests could get a real story about his tough work as a sulfur carrier. He also has brothers that also used to work in the mining of Kawah Ijen. You could also join him in farming and taking care of his animal on the field. The village is amazing, green rice paddy field dominated the area with Kawah Ijen background will be very amazing for the sunset. Walk around the field, guests also could join farming activities together with locals. The activity would vary depending on the season, could be rice planting, rice plowing, or even rice harvest. Get tired of the walk along the rice paddy in the village around? It is time to relax, pick fresh coconut right above from the tree and drink them in the field. Woww,,, it is so perfect. During the walk, you might find local species that never been seen in your home. Giant bat and spider with double size (unpoisoned), ask Mr. Sam to show you "Putri Malu Plant". Do you want to get this real local farming experience? Ask to stay in Glondok and be guided by Mr. Sam or Faijin when you book the tour.